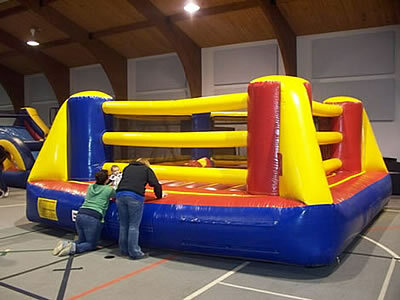 19×19 foot boxing ring! 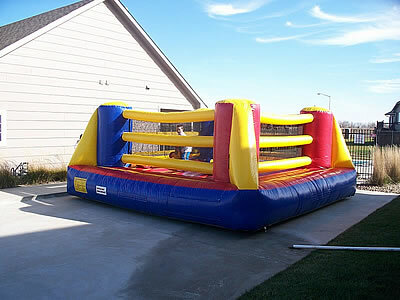 The Bouncy Boxing moonwalk combines the high-energy sport of boxing with fun-loving bouncing for one unbeatable game. 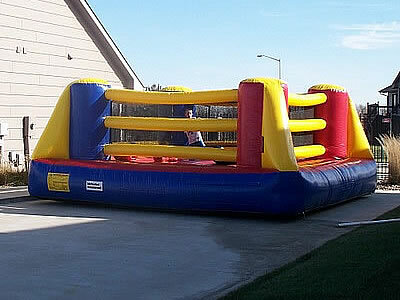 Partners can spar or just enjoy some aerobic jumps or flips while fans cheer them on! 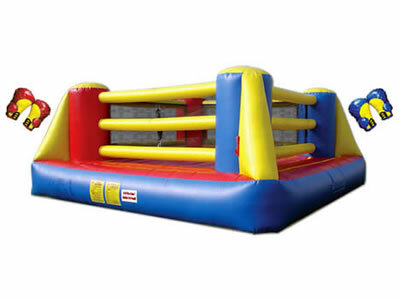 Designed with inflatable yellow “ropes” and oversized posts, this moonwalk sits high on a platform, all for an authentic boxing ring look. 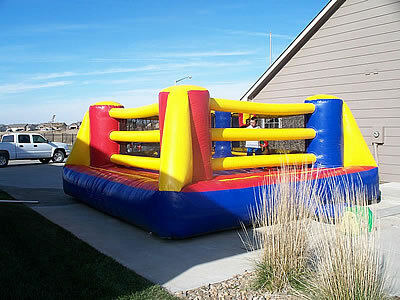 This boxing-inspired moonwalk comes with boxing headgear, and offers a roomy jumping space ideal for any sized event.